Eurel Informatica SpA was the Company chosen by the European Parliament - one of the major institutions of our time. This activity was initiated in 1987 and was followed up over all these years to extend its reach to a further two hemicycles as well as 25 Commission Halls. Since trust in the Eurel products was well placed the systems in the hemicycles were upgraded several times through the use of the most advanced technology. Technical assistance and on-site system presence during sessions is provided by staff residing at the seats of Strasbourg and Brussels. 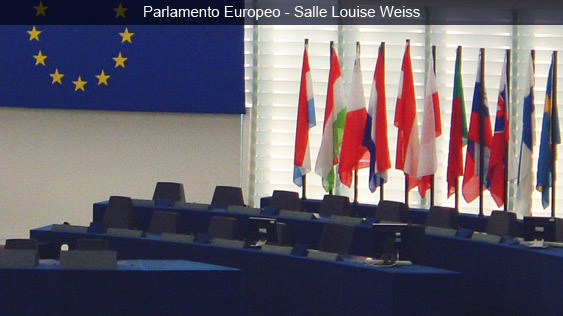 Eurel Informatica SpA supports the European Parliament with diverse types of solutions. This system acts as an interconnection between all the voting systems of Strasbourg and Brussels via a Parliament queue messaging system. The aim is to drive all information pertinent to voting from and for the voting system ranging from the agenda, list of votes to be cast, capturing voting results in real time, filing results of all the sessions into the main system to prepare them for analyzing their performance and result analytics.